Politicians with ties to Shaanxi, Xi’s home province, have fared well since Xi came to power. On May 4, 2015, it was announced that Li Xi, governor of Liaoning, had been appointed as party secretary of Liaoning, replacing Wang Min. 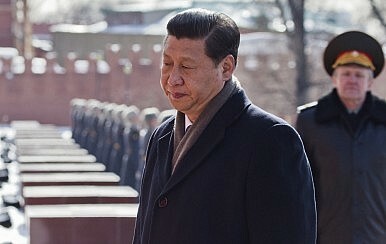 Li’s appointment is noteworthy because of his connection to Xi Jinping via his local leadership experiences in Shaanxi, Xi’s home province. A native of Gansu, Li did not have any overlap with Xi in his early years. In fact, he might have instead become acquainted with Hu Jintao in 1982, when Li was a staff member in the Propaganda Department of the Gansu Provincial Party Committee and Hu worked consecutively in the Construction Commission and the Youth League Committee of Gansu. Li began to develop his personal ties with Xi after he was transferred from Gansu to Shaanxi in December 2004. On August 17, 2007, Li visited Xi (then the party secretary of Shanghai) in Shanghai in his capacity as party secretary of Yan’an City as well as standing member of the Shaanxi Provincial Party Committee. On July 12, 2008, Xi, then the vice president and a standing member of the Politburo, sent a letter to the village where he spent seven years from 1969 to 1975 as a “sent-down youth” through Li. Li was promoted to Shanghai as a standing member and organization department director of the Shanghai Municipal Party Committee in April 2011. After Xi became general secretary of the Chinese Communist Party, Li was promoted as deputy party secretary of Shanghai in April 2013 and was further promoted to Liaoning as acting governor in May 2014. Just under a year later, Li was appointed as party secretary of Liaoning, the number one leader in the province. Li was born in October 1956, making him the fourth youngest provincial party secretary in China. The home province of Xi Jinping, Shaanxi has become an important training ground for top leaders in China. In addition to Xi, one may also find Wang Qishan with extensive links to the province. A native of Shanxi who was born in Shandong and grew up in Beijing, Wang Qishan spent 10 years in Shaanxi. He started off as a “sent-down youth” in Yan’an Prefecture in January 1969, just as Xi did, but in a different county. Wang was soon recruited by the Shaanxi Museum and then began his studies at the Northwest University in Xi’an. Among Politburo members, one may also find three other individuals with work experiences in Shaanxi. Li Jianguo, vice chairman of the Standing Committee of the National People’s Congress, was party secretary of Shaanxi for a decade, from 1997 to 2007. Li Zhanshu, director of the General Office of the Central Committee of the Chinese Communist Party, was a standing member and deputy secretary of Shaanxi under the leadership of Li Jianguo, from 1998 to 2003. Zhao Leji, director of the Central Organization Department, was Li Jianguo’s successor as party secretary of Shaanxi. A native of Shaanxi, Zhao grew up in Qinghai. He was the top party boss of his home province from 2007 to 2012. At the age of 69 in 2015, Li Jianguo will have to retire in two years. But both Li Zhanshu and Zhao Leji are strong candidates for the membership of the Politburo Standing Committee in 2017. Li Xi, an alternate member of the 18th Central Committee, will become at least a full member of the 19th Central Committee. If he can turn Liaoning’s economy around in the next two years, Li would even have a chance for a seat at the Politburo.